“Press as you sew” is what we all heard when we were learning to sew and it really hasn’t changed a great deal. You can’t get away from giving a project a light press during its construction and by doing so it will look better by its completion. This technique is referred to as “under pressing” and it helps make the final press less of a task. There is a big difference between “ironing” and “pressing”! Ironing is the movement of the iron while the heating sole is on the fabric and this technique can cause stretching and shining of the fabric. Pressing is the lifting and repositioning of the iron onto the fabric so as not to stretch or shine the fabric. 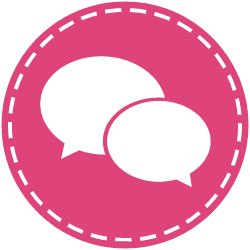 Pressing equipment is usually a low priority on the “things to buy” list for the sewing room yet without good pressing tools it is almost impossible to get a professional finish on any garment. Pressing accessories are a must as well. Using a heat proof “jelly plate” that the iron can rest on without scorching the ironing surface and a removable Teflon glide sole that slips onto the iron when pressing fabric that are either dark or mark easily (a lot of people have this sort of sole on their iron all the time, for safety). 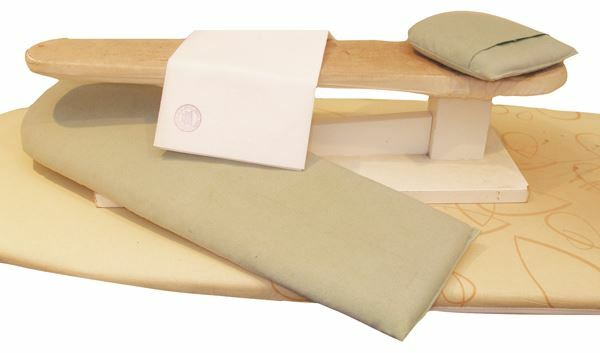 Some “should haves” for pressing: a sleeve board for pressing skinny enclosed seams, a couple of different pressing pads for putting inside garments while opening up seams or pressing off and a Rajah cloth (pressing cloth that has been chemically treated for great results). Brown paper for pressing in pleats and an old linen tea-towel (always used damp) can be added to these pressing necessities. To press a seam it is necessary to open the seam up with steam and then dry the seam out generally by turning the steam off. Some irons have a vast array of steam holes through their base and these are ones to avoid as they wet the fabric far too much. The best iron to look for is one that has its steam delivery holes in the top ¼ of the iron and the rest of the sole is flat. 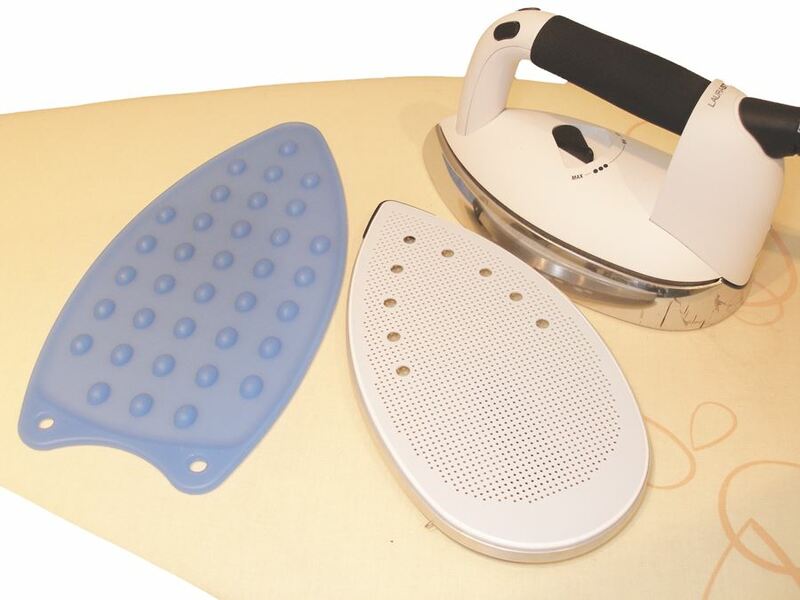 This ironing sole plate professionally sets the fibres into place but there are some fabrics that want to curl up once pressed, no matter what you do to them, but an immediate press on the right side of the fabric with a rajah cloth does help but be careful not to bruise the fabric! A small travel/crafting iron (approx. 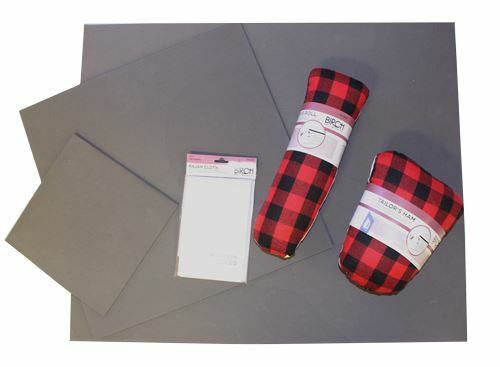 $50) that is set up next to the sewing machine on a quilters pressing pad/mat is a very handy to doing quick pressing jobs without having to get up and go to the ironing board. 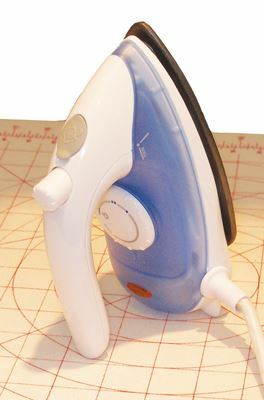 If your iron is set up in another part of the house then having this small iron is a god-send when stitching and it also encourages “press as you sew” techniques. Quilters quite often have a small iron set up beside their machine so why shouldn’t garment makers. Larger irons can get in the way of the garment and inadvertently scorch any garment piece that is resting against the hot sole accidently. Taking all the above into account, a dedicated ironing system gives, by far, the best result in any workroom or laundry. These systems have a built-in boiler unit that generates a constant flow of dry steam and also a built-in vacuum unit that removes steam from the garment or project through the board and allows the fibres settle under the dry heat of the iron. Some of these units have a “blow” function on them that aerates up through the garment while pressing, making piled fabrics and easily creased fabrics a breeze to work with. This blowing system is based on the on a similar idea to the “air forma” dolly that a dry-cleaner uses to press torso garments on (it looks like a vinyl blow-up mannequin with no head). 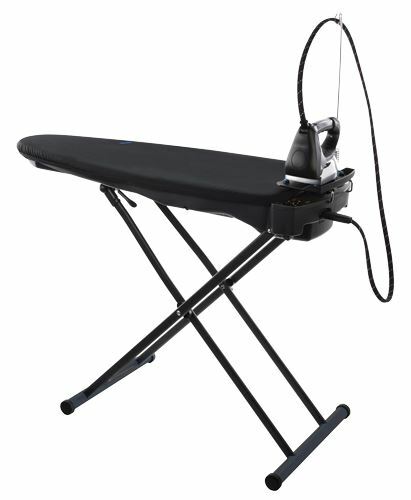 In addition to dry steam and vacuum some systems have a heated ironing board that prevents the build-up of moisture in the pressing surface and stops any pressing puddles from forming. 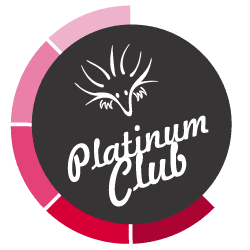 This article sounds a bit like an infomercial but I have found, like most of us, buying a cheap iron that only lasts six months is frustrating as it seems like you only just get the feel of the iron and how it copes with different types of fabrics and then it goes fizz! Most frustrating indeed! The Lichfield shirt company in New Zealand had a marketing phrase on their labelling and packaging that said “no one ever regretted buying quality” and that’s exactly how I feel about pressing equipment. The results from these units are remarkable and the price tag is well justified!